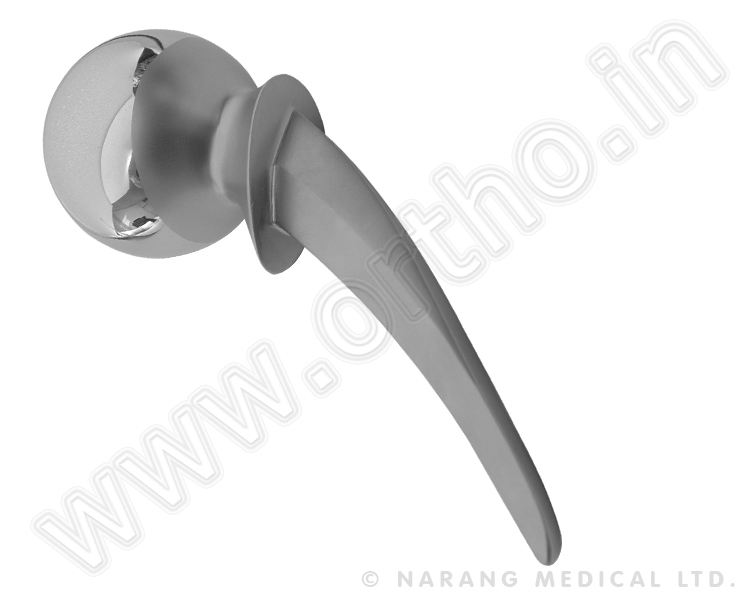 Thompson Hip Prosthesis - Excel Stainless Steel (Standard Stem). 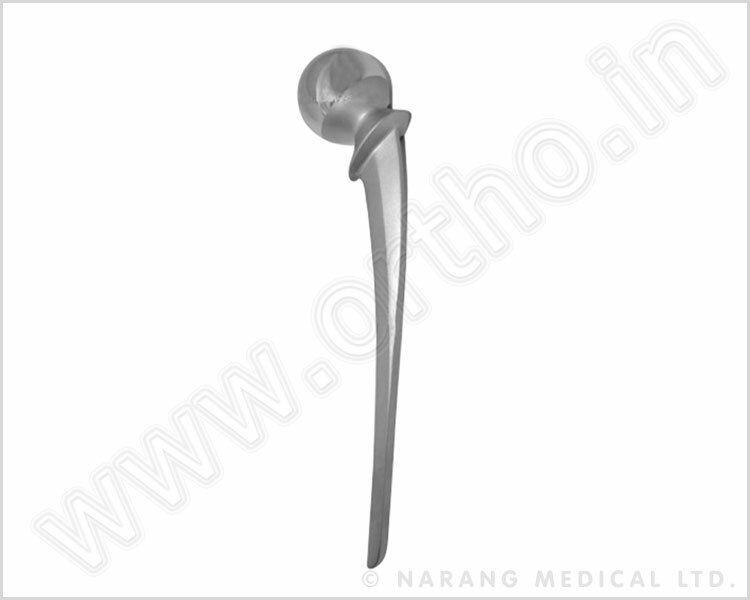 Thse are indicated for replacement of the degenerated femoral head. The stem is having one thick end and tapered to a thin edge. This feature of stem provides great resistance to rotation. The broad collar is designed for weight distribution on the calcar. 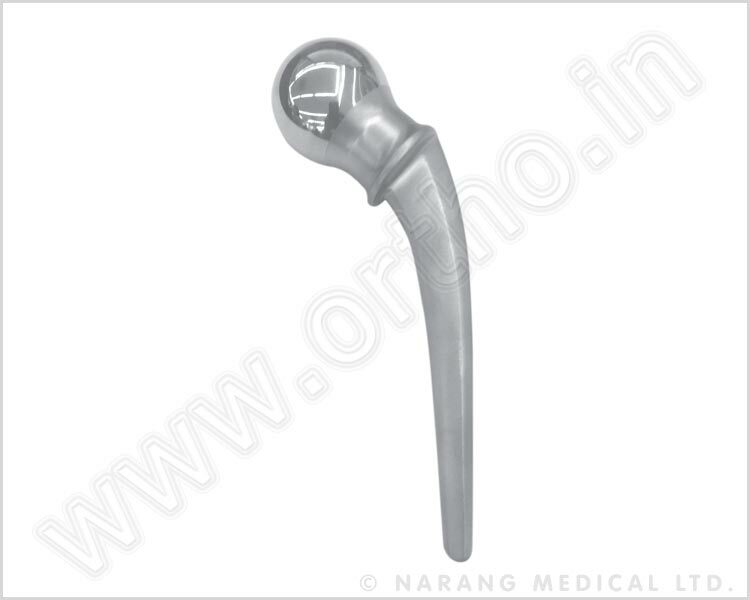 Thompson Hip Prosthesis is available in different head sizes to fit accurately in acetabulum. It is also available in Standard and Narrow Stems. Non-Sterile Code No. *Sterile Code No. Non-Sterile Code No. *Sterile Code No. Dia. mm Non-Sterile Code No. *Sterile Code No.